I have two sons: one trans, one not. New York's Senate needs to pass legislation so I can stop watching one of them live a life that's any less than he deserves. Nearly five years ago, my husband and I learned that the child we thought was our daughter is really our son. At 13, our son attempted to take his own life. The challenges of being transgender in our society had felt overwhelming to him, despite having the loving support of his family. Forty-one percent of transgender people attempt suicide (as compared to 1.6 percent of the general population.) That number goes up to 51 percent if they experience bullying or harassment, and up to 61 percent if they are subjected to physical assault. My husband and I confided in few people at first, as we immersed ourselves in learning all we needed to learn to save our child. 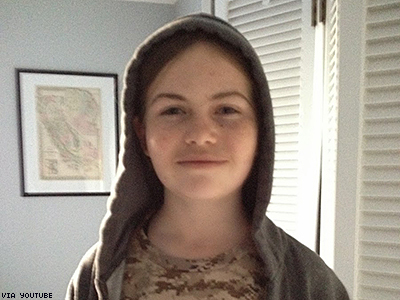 We supported our teenage son’s transition from female to male. The experience has transformed all of our lives — for the better. For years I was dedicated to helping my son make the changes he felt necessary to be seen and accepted as the young man he knew himself to be. It was a long and difficult process. There was bullying and rejection and discrimination along the way. We moved to another city, changed schools multiple times, and had to educate countless people — including healthcare workers, educators, and court officials. Many would say we succeeded. My son is now happy and healthy. He’s a full-time college student, has a steady job, is in a wonderful relationship, and is living his life fully as the young man I now know he has always been. Today, I am an advocate for change. I advocate not only for my child, but for the entire transgender community, demanding access to healthcare, education, economic security, and the freedom to move about this world without fear of state-sanctioned discrimination and violence. More than that, I advocate for dignity, respect, justice, compassion and love. But in New York State, all people are not treated equally, and do not have the same protections. I have two sons, raised in the same home and community, by the same parents. Both are college students. Both are hardworking, loving, kind, thoughtful, and giving. Yet my two sons are not treated equally in eyes of the law in New York State. One of my sons is protected from discrimination and violence, while the other is not. But his employer doesn’t know he’s transgender. If they found out and have a bias, my son could be fired, despite his exemplary job performance, because we live in a state and town without trans-inclusive protections. This week I will make my seventh trip to Albany, where I will call on Governor Cuomo, State Senate Leader John Flanagan, and the entire New York State Legislature to make 2015 the year we pass the Gender Expression Non-Discrimination Act to protect transgender New Yorkers from discrimination. Year after year we fight for this common-sense legislation. Year after year, the New York Assembly passes the bill and the New York Senate refuses to bring it to the floor for a vote. I believe that anyone who doesn’t support GENDA doesn’t understand it. They don’t understand what it means to be transgender, or they don’t understand what this legislation is and isn’t about. GENDA isn’t a special protection. Passing GENDA will simply mean that finally, both of my sons will have the same rights under the law. I’ll share my family’s story again and again, hoping to open hearts and minds. Hoping to educate others and help them understand and learn some of what I’ve learned — as a mother, a friend, an ally, and a human being. I had an urgent and compelling reason to learn: my son’s life depended on it. But our elected officials have an urgent and compelling reason to learn, too. New Yorkers are being discriminated against. People are dying. Some are taking their own lives, and some are victims of violence. We tell our at-risk youth, “It gets better.” It is our responsibility to make that statement true — for all of our children. And so I’ll make the six-hour drive to Albany again, and as many times as necessary, until GENDA is passed — and I’ll advocate for dignity, respect, justice, compassion and love. In the end, I believe that compassion and love will always win. TERRI COOK is the proud mom of a transgender child and co-author of the book Allies and Angels: A Memoir of our Family’s Transition. Terri is dedicated to opening hearts and minds by sharing her family’s life-changing journey at conferences, workplaces, schools and healthcare settings. Formerly a project engineer at Lockheed Martin (where she was also a Pride ERG Lead and diversity trainer), Terri now serves on the board of the Empire State Pride Agenda Foundation. This post originally appeared ont the author's blog, The Ally Project.